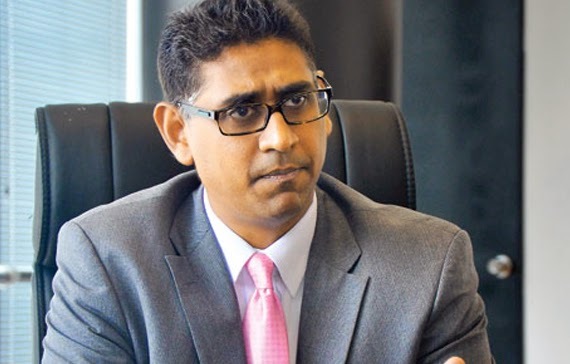 Sri Lanka’s Minister of Local Government and Provincial Councils Faizer Mustapha has refused to accept the report of the delimitation committee reviewing the demarcation of electoral boundaries in local government wards. The Chairman of the Appeals Committee on the Demarcation of boundaries of Local Government Institutions, Asoka Peiris was to hand over its much-awaited report to the Minister at a media briefing today in Colombo but the Minister focusing on the legal status of the report has refused to accept it since only three members of the five-member committee has signed the much-delayed report. The Chairman Asoka Peiris said three members of the Committee including himself met on Saturday and signed the report but other two members – former governor Saliya Mathew representing the United People’s Freedom Front and the senior lawyer A.S. M. Misbar representing the United National Party – were not present. Peiris said they promised to read the report and sign it. However, if those two members did not sign the report after reading, the Minister has agreed to accept the report since a majority of the five-member committee has signed it, the Chairman said. Minister Mustapha said as soon as those two members sign the report he will accept in and take the required follow-up measures to hold the Local Government elections. Local election monitors recently urged the urged the Sri Lankan government to conduct the Local Government (LG) elections promptly. People’s Action for Free and Fair Elections (PAFFREL) said based on issues in demarcation of wards the Local Government elections have been postponed for nearly two years and emphasized that the subject minister, the chairman of the National Delimitation Commission, and the government are held responsible for every day the LG elections is postponed. The Campaign for Free and Fair Elections (CaFFE) charged that the Appeals Committee on Demarcation of Boundaries and the Ministry of Local Government and Provincial Councils are deliberately delaying the local council elections and threatened to take legal action against them.